Ed Stevenson spearheaded the creation of the Preserve over a five-year period. 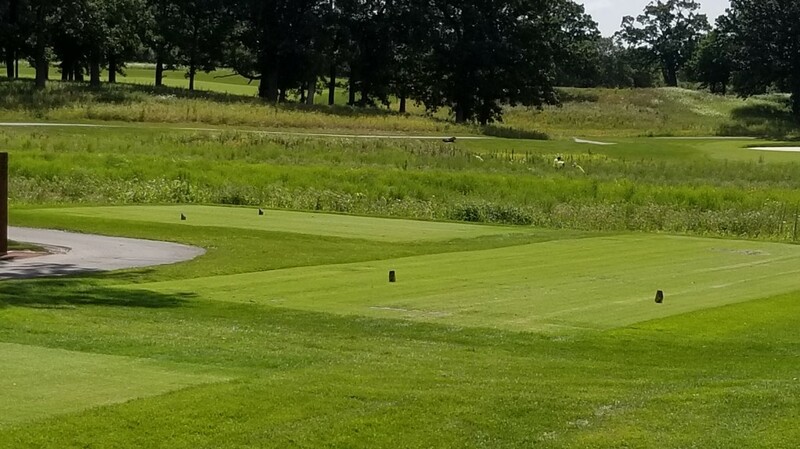 Finally, after several years of political debate and two years in the construction phase, The Preserve at Oak Meadows is ready to welcome golfers. Economic conditions being what they area, new golf courses are a rarity anywhere and the wait to see how The Preserve would turn out has been a tantalizing one. Public play begins on Monday, Aug. 7, at the Addison course but tee time holders and some golf industry personnel will be getting sneak peeks before that. Fees for public play will start at about $50 and top off at $89 on weekend mornings for golfers using power carts. The Preserve was built on land that had embraced the 18-hole Oak Meadows layout and the Maple Meadows East nine-holer. They were last played on July 7, 2015. Before that the 288-acre site contained two country clubs, Elmhurst and Brookwood. Elmhurst opened in 1923 and became Oak Meadows when the Forest Preserve District took it over in 1985. Brookwood closed its doors in the early 1990s. Whatever the name, the courses operating on the property had a checkered past. On the good side, Elmhurst was used for the 1941 Chicago Open. It was won by Ben Hogan in a duel with Sam Snead. Golf didn’t get any better in that era. On the other end of the historical spectrum was the area’s reputation for flooding, which was clearly evident to all drivers on nearby Interstate 294. Salt Creek would over flow after every reasonably heavy rainfall. 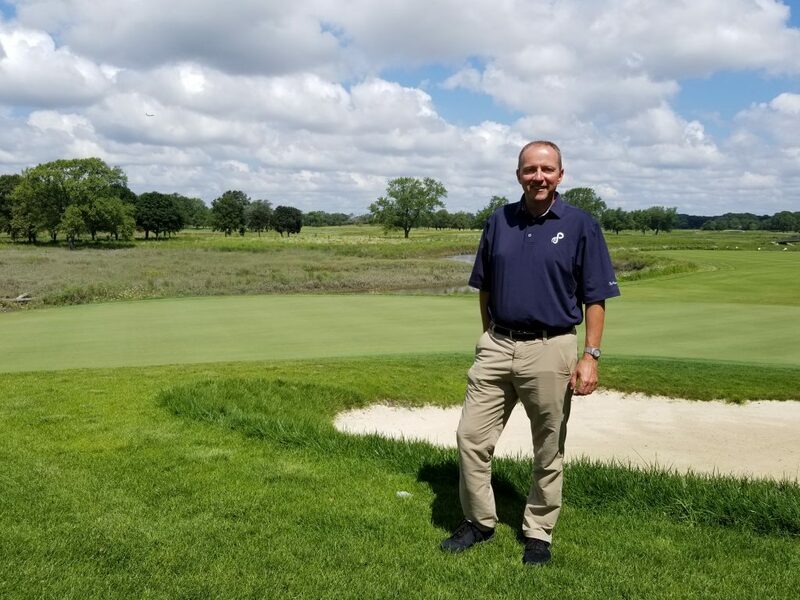 Batavia architect Greg Martin supervised the rebuilding process while also serving as national president of the American Society of Golf Course Architects. His work was put to the test with the heavy rains that wreaked havoc in many Chicago suburbs this summer. There’s a good reason for that. Of the $16 million spent on the project, only about one-third went towards the golf course. Flooding concerns were addressed as the 27 golf holes were reduced to 18. The area can hold 20 million more gallons of storm water than it could before the construction began. There’s now 40 acres of wetlands spread around The Preserve at Oak Meadows. The course still needs time to grow in, but it will be well received. 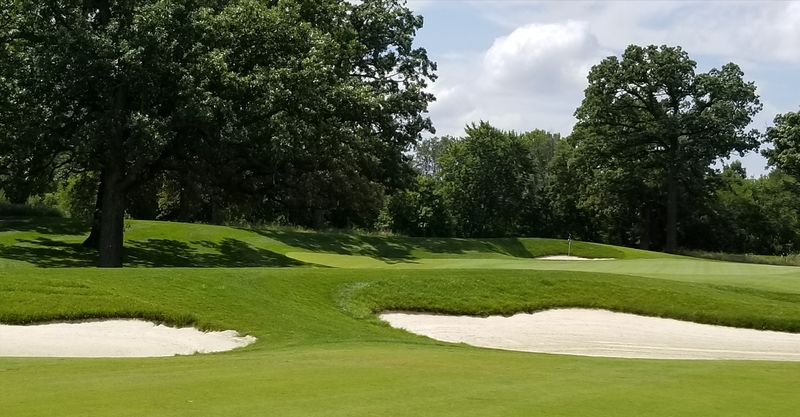 The many golfers who played at Elmhurst and Oak Meadows will find two familiar holes; Nos. 1 and 18 have been rebuilt but use the same corridors they did in the old days. After that, though, it’ll be a whole new playing experience. Construction involved the moving of 700,000 cubic yards of earth and the removal of 1,000 non-native trees. About 500 more suitable trees were planted along with 308,000 baby wetland plants. The expansion of the wetlands may be what new players notice first. Thirty new acres of wetlands were added to the 10 already there. 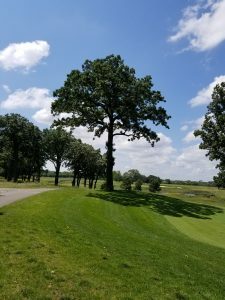 The Hogan Tree was salvaged in memory of Ben Hogan’s victory in the 1941 Chicago Open. Most courses in the Chicago area are built on less than half the land used for The Preserve. Its hefty acreage suggests players who prefer walking to riding may have reservations about the new layout but Stevenson believes the tees and greens are close enough together to make for an enjoyable walking round. The only real downer is that the old No. 16, an historic par-3, is no more. Designed by original architect Charles Wagstaff, it featured the first island green in North American golf. Martin couldn’t salvage it because of flooding concerns. Martin’s design is highlighted by three short par-4s – Nos. 4, 12 and 16. There’s a lot of risk-reward shot options on each of them, and they’ll be the prime subjects of discussion for The Preserve’s first players. Players are sure to like the square tee boxes and the numerous playing options. Every hole has at least five tee placements and some have as many as seven. 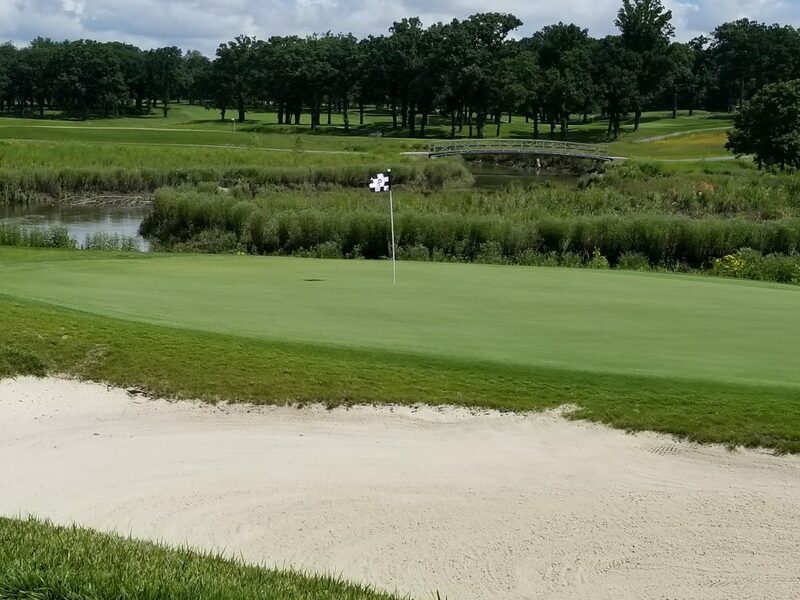 The course will play at 7,100 yards from the tips and my sneak preview verified that the course — given its newness – offers more than satisfactory playing conditions. Bunkering was also upgraded. Twenty were removed from what had been Oak Meadows and 54 new ones – all with striking white sand – were incorporated into the new design. Rectangular tee boxes are one of architect Greg Martin’s special touches at The Preserve. One thing The Preserve doesn’t have — and needs badly — is a clubhouse. A 50,000 square-foot version was built by Elmhurst members and was inherited by Oak Meadows players until it burned down after been struck by lightning in 2009. The DuPage board could approve a more modern 17,000-square foot replacement designed by architect Dan Wohlfeil at a meeting this week. 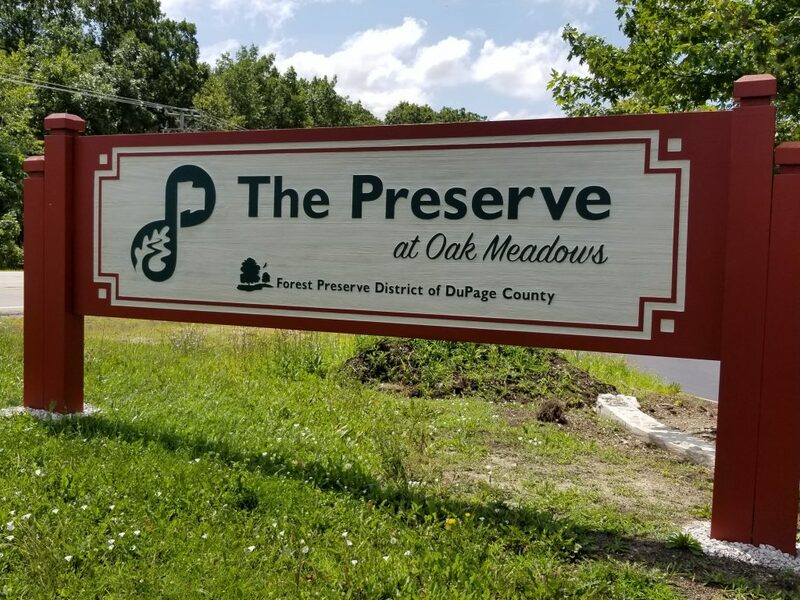 Wohlfeil was the architect for the well-received clubhouse at Mistwood, in Romeoville..
Until then The Preserve will operate out of Oak Meadows’ old pro shop, a structure that will be torn down once the new clubhouse is up and running to make space for an expanded practice area. There’s a chance the ground-breaking for the new clubhouse could coincide with The Preserve’s Grand Opening. It won’t be held until next spring. The few months left in this season are mainly for introductory purposes and the number of rounds will reflect that. There are more bunkers on The Preserve than there were at its predecessor — and the sand is white.